The Mission Critical or Data Center market covers a broad spectrum of industries; social media, healthcare, financial, retail and many more. Every business needs to store data; whether owned or rented, the information and applications have to be housed somewhere. Data Centers come in all shapes and sizes, from a 1KW closet to an 80 MW Greenfield data center. 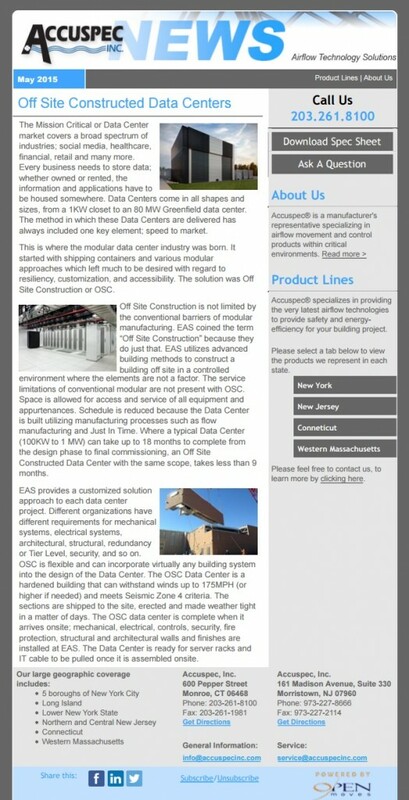 The method in which these Data Centers are delivered has always included one key element; speed to market.